New City Movement celebrates 20 years of electronic music and human connection with big night at Bricks. In 1994, ambitious young fashion designer Jared Gold came up with an audacious plan: Bring in Doc Martin, a big-name West Coast DJ, to elevate Utah's house music scene and put Salt Lake City on the international map. Gold teamed up with budding DJ Jesse Walker, then spinning under the moniker DJ Send, to help promote the Wild Planet party at The Vortex, then located at 10 Exchange Place. By attracting an esteemed Los Angeleno like Martin, who was famous for his role incubating the California warehouse rave scene, Gold and Walker made a name for themselves—one that eventually morphed into a whole new movement. "Doc was at the pinnacle of the rave/club scene," Walker says, "and when he came through in '94, he not only destroyed The Vortex—he changed my perception of what DJs could do. His mixing had an urgency with human imperfections that felt like a freight train barreling down the tracks. He was playing old and new music I'd never heard. He completely blew everyone's minds. He was supportive, too, providing us with an education in the DJ life." Walker applied those lessons to full-time work at The Vortex, followed by semi-regular gigs at Bricks, Club Manhattan and Holy Cow under the tutelage of local icons Stephen "Bam Bam" Santoro, Ryan Raddon and Jimi McCagno. By 1998, when Walker and Chicago native Sergio Hernandez started a weekly DJ night at Manhattan, they developed a concept—New City Movement—that promoted futurism and abstract thinking in underground music, design and culture. "We hoped that our sheer optimism might result in a more colorful Salt Lake City," Walker says. "We didn't want to just copy or follow national trends. We wanted to embrace the weirdness and freedom of this place to invent what came next." Now, Walker has assembled what he calls "the party to end all parties"—a 20 Years Deep tribute to the past that also highlights the scene's never-ending evolution. On Saturday, Oct. 6, Doc Martin headlines (on just his fourth trip back to Utah in a quarter-century) alongside 12 other local DJs spread across three rooms at Bricks. In recent years, the club has opened only for select events, but in the '90s, it was "the place" for dance music, Walker says. "Bricks is where a lot of SLC found their ultimate groove. It was one of the first venues where gay and straight culture started coming together as one. That's a huge reason we're having this 20 Years Deep party there. We can tie back to our history and put a bow on it." That bow will tie up several strands of Salt Lake City club culture. Local beatmakers, label heads, techno producers and City Weekly DJ contest winners UTA Trax, Flash & Flare, Finale Grand, J. Godina and Bo York will take charge in the Fice Eats Beats Lounge sponsored by downtown's Fice Gallery. On the V School Technotronic Rooftop, party rockers Choice, Typefunk, Artemis, Serge and Easy embody the innovative spirit of Mo Reeder, who co-founded the V School web development boot camp. On the New City Movement Main Stage, Martin, Walker and Chaseone2 will spin hours of mind-bending bass, while the breakdancing Body Roc Crew will entertain alongside drag personalities like Princess Kennedy, Willard, Lady Façade, Mona Diet, Slime Baby and Obsidian. "We all know each other because the scene's so tight-knit here," Walker says. "All of these artists constantly surprise me—everyone knows how to have a good time, and we all support each other." 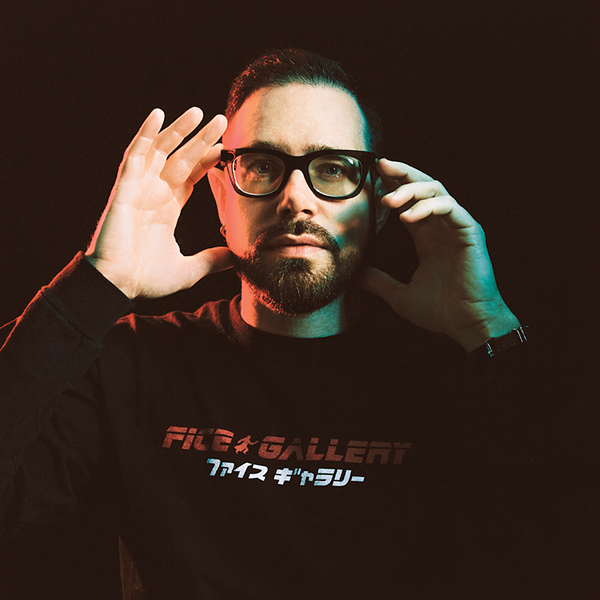 Walker also extends major credit to his old friend Jared Gold, who collaborated on elements of 20 Years Deep's design, along with DJ Matthew Fit, who has helped with New City Movement's strategy in recent years. "Coming from the Detroit area, he's brought a techno perspective to what we're doing," Walker says. "We're constantly trying to adapt and learn something about ourselves and our craft in the process. But the basic reason for our existence hasn't changed: wanting to go out, dance and play good music for people of all genders, all sexual orientations and all backgrounds. People are the key, ultimately—the more diverse the better. House and techno music has a way of breaking down the barriers. It's a momentary utopia." At its core, 20 Years Deep celebrates that inclusive spirit, one that Walker believes is best celebrated at night. "Growing up, I was always interested in the counterculture," he says. "That's when you can discover a true sense of freedom, and that's what I've always wanted to do with New City Movement. If you feel something special at one of our events, reinterpret it somehow and share it, through music or art or dancing or emotion. It would be cool if people made the world a better place because of something we helped to create together."